We don't get a lot of snow here. When we do, the small people make every moment worthwhile. 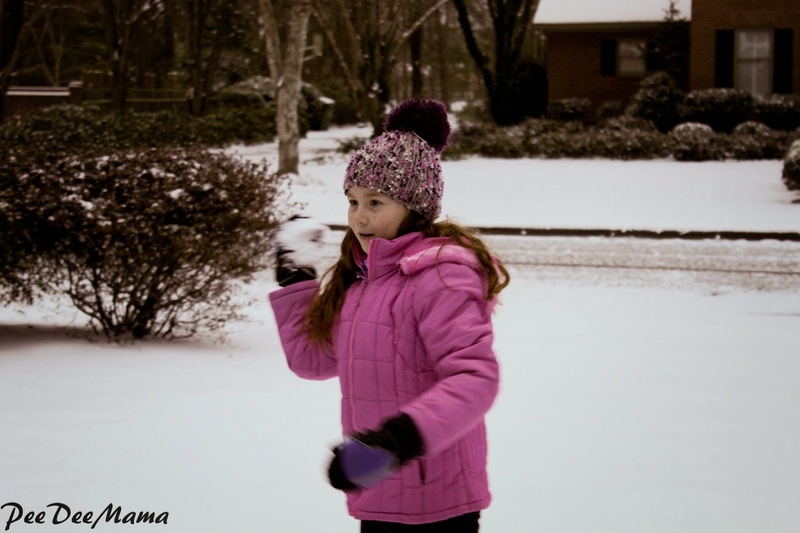 Well, most of the small people; Ballerina doesn't like the snow so she stayed inside. Little Red and the others had a snowball fight right after they went outside to play in our snow day last week.